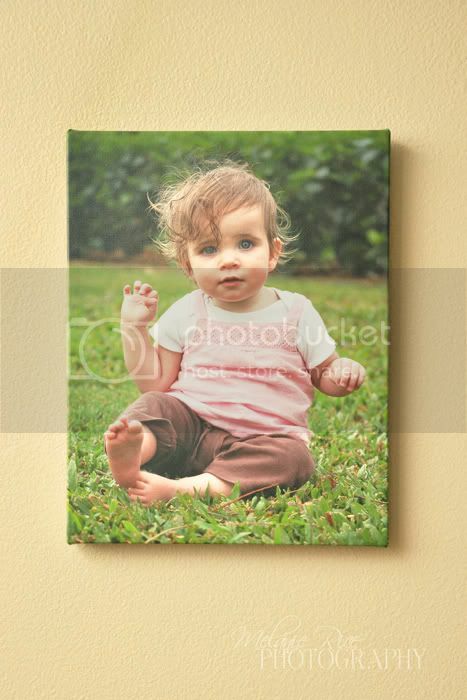 Melanie Rice Photography: Gator board prints and gallery wraps! Gator board prints and gallery wraps! I just had to write about another print type I am now offering, called gator board prints. I love them!! They are basically made up of your photo printed in a matte finish and then mounted on a rigid foam core board (looks and feels like heavy-duty plastic and is very rigid, but lightweight). 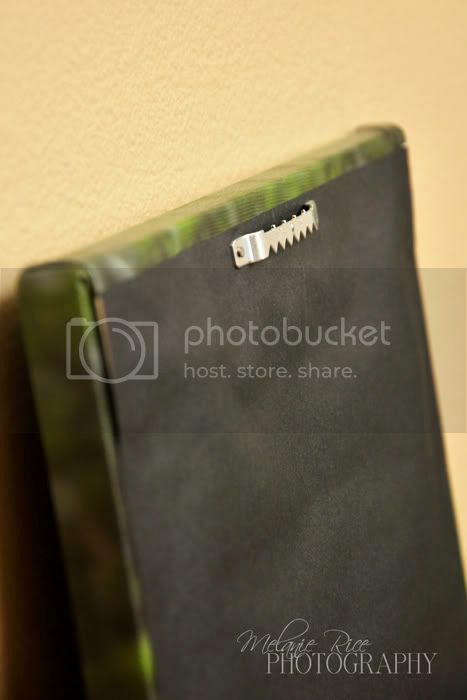 The board is either black or white and is available in thicknesses of 3/16" and 1/2". I love them because you can get them printed in a variety of sizes and you are not limited to standard photo framing sizes, and because you don't need a frame either! 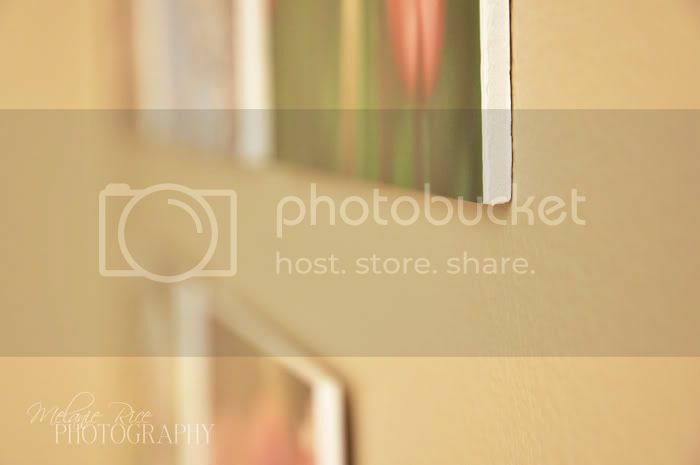 These can be mounted directly to the wall with gentle removable wall-mounting adhesive (found at most grocery and home improvement stores), or they may be propped up on a shelf. I had seven of them printed in 10"x10" squares on 3/16" gator board for my little girl's bedroom and I love them. It was fun to be able to make a little collage of some of my favorite photos from our recent trip to the tulip festival. If you'd like to view my pricing for these, head on over to my pricing tab for more info!! Also, in case you missed the post I did a while back about gallery wraps, here's another look at those. 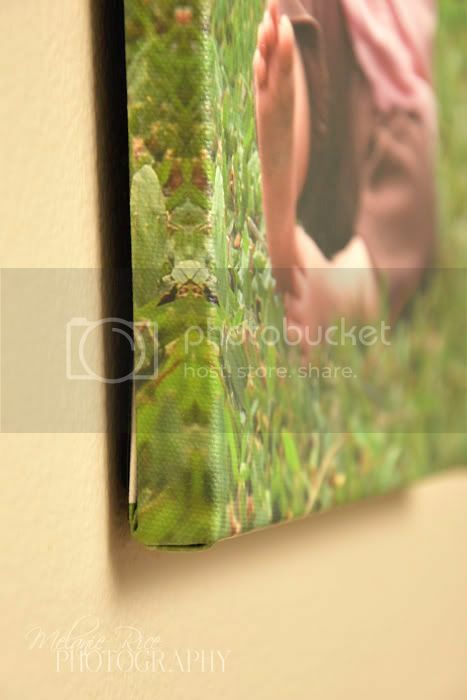 Gallery wraps are another great no-frame option and are also available in many different sizes, both "standard" photo framing sizes as well as other various ones. 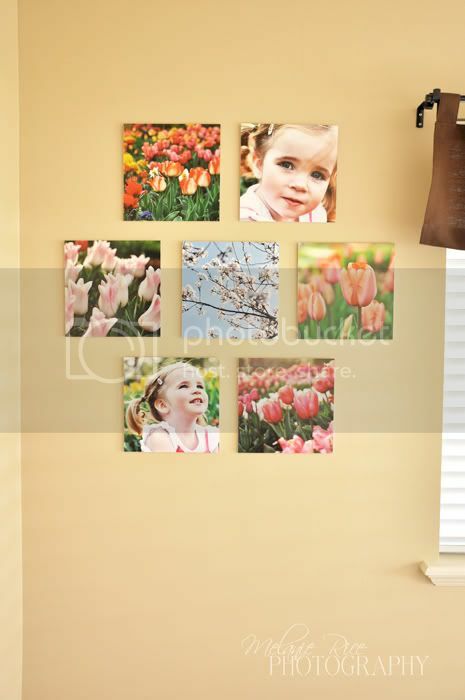 They are made up of your image printed on canvas material and stretched around a wooden frame. They come with the mounting hardware already attached, so it is completely ready to display! These are available with either 3/4" or 1 1/2" frames. I had this image of my little girl printed from way back when she just turned one and we went on a trip to Hawaii. I've always loved it!! I had it printed at an 11x14 size and mounted on a 3/4" frame. 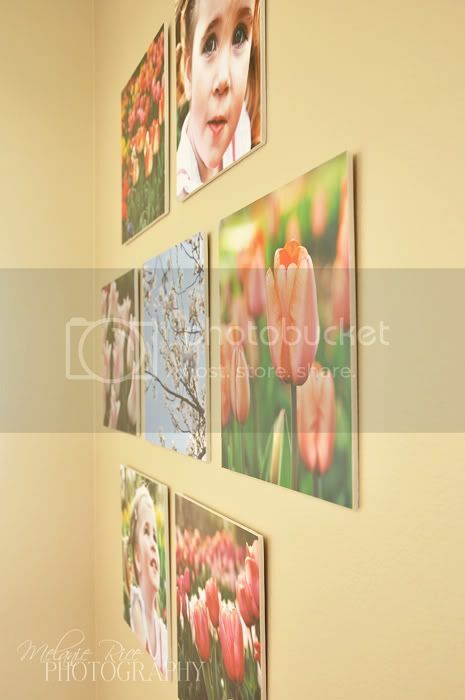 As with the gator board prints, my pricing for gallery wraps can be viewed via my pricing tab. I love the gallery wraps - look so museum-esc! Melanie- I've been looking at all your images and you blow me away. You have some really awesome stuff on here. In fact you're inspiring me to get back into shooting babies again. I called it quits for the last year because of baby #2 and just recently phased in High School Seniors only, and that was going to be it. I've got some questions for ya...I think I'll just email and save the comment space here!